Hardcover, Dust Jacket Present-very worn dj, tears on top edges, worn around corners. Tight Binding, No Chipping or Tears to Edges, Limited Markings or Creasing-previous owner's name stamped on inside front cover, first page, and outside top edge of pages. Carroll, John B.; Freedle, Roy O.
Carroll, John B., Freedle, Roy O. 3. 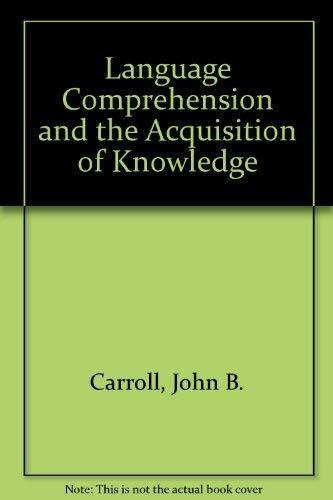 Language Comprehension and the Acquisition of Knowledge Carroll, John B. and Freedle, Roy O.